A yoga class represents a life cycle. We begin in childs pose and we end in corpse pose or savasana. The beginning of your life starts with an inhale and the end of your life finishes on an exhale. As you draw your first breath on the mat create a sense of purpose/ and intention for your 75 minute life on the mat. Let each step on your mat be a significant step in your life. You can be anyone you want to be on your mat. Every choice you make in your practice is the stepping stone to the choices you will make off of your mat. As your life comes to a close and you practice the art of dying let your final exhale release and liberate you from all that is holding you back from your highest self. Savasana is one of the hardest poses to master, but when you finally master the pose the payoff is sweet. Your breath, in sanskrit is known as prana. Prana is also a word for life or life force. Within your breath you hold your past, your present and your future. Each breath you take is an exchange of your soul. You must give in order to receive but you also must replenish in order to reap. Let your breath not be just something that you take and receive but something that replenishes and restores. 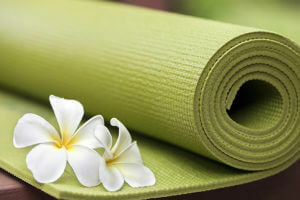 Let your practice nurture, nourish and liberate you as you practice life on your mat. What I find interesting is that we put so much energy into practicing how to live our best life but we shy away from the inevitable which is death. Why not practice for what we know will come. Practice coming at it with peace, acceptance, a still knowing. Symbolically we die in savasana so we can be reborn. In death we are truly offered a way to live. As you practice on your mat, as you chose each moment, choose not to live in fear of death but in celebration of life.